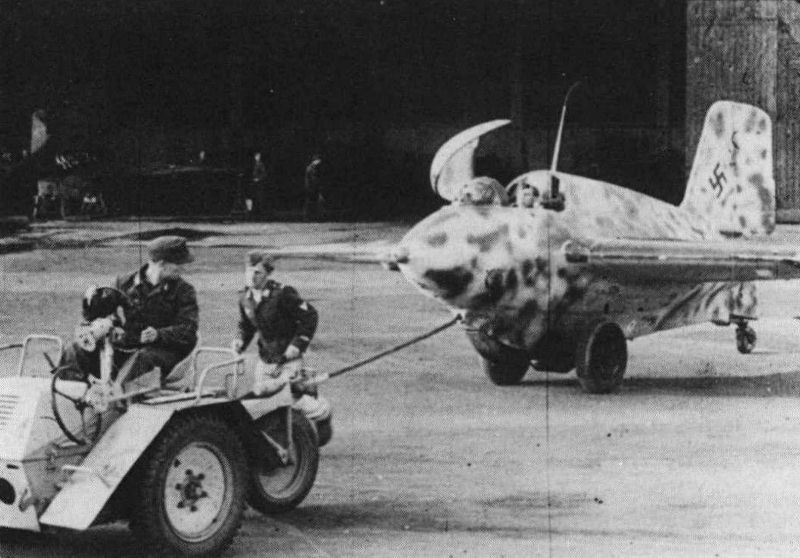 'White 14' attached to the Scheuchschlepper and being towed away. One of the mechanics is trying to catch up with the tractor. The solid-painted wing is clearly visible in this picture. In shadows of the hangar another interesting example 'White 11' can be seen.